There are few better places to be when Saturday comes. Prepare for kick-off in style at this swanky 4-star at the centre of the Chelsea FC Stamford Bridge complex. 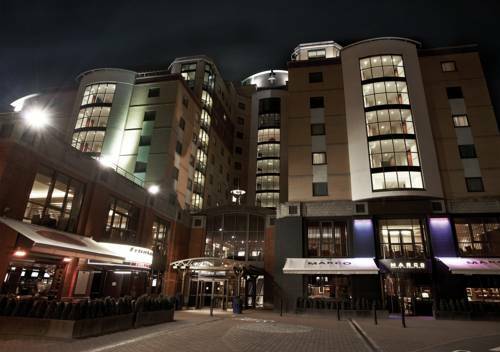 Located in the sprawling sports complex at Stamford Bridge the Millennium Copthorne Hotel is lavish and distinctly magical experience for fans of footie. For a kick-off most of the 275 guest rooms baost large marble bathrooms. All rooms have a flat screen plasma TVs, movies-on-demand and Wireless broadband access. The hotels 55 Bar & Lounge offer WiFi access on a 24/7 basis and there are wide-screen plasma screens to grab sight of the news or the latest major sporting events whilst you chill and relax with friends. The Fulham Broadway tube station and buses provide easy access to central London and Eel brook Common provides a bit of green-belt to stretch your legs. South Kensington with its shops, Natural History Museum and the Victoria and Albert Museum is a 25-minute walk away.